The St. Mary’s runners take the top honours in Devon, while Abdulquani Sharif wins the men’s shorter race. 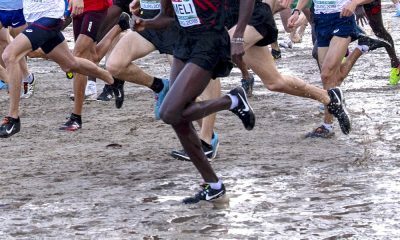 Despite the chilly weather and travel disruptions this week, the leading student cross country runners made their way to the BUCS Cross Country Championships at Bicton College on Saturday (February 2), where there were victories for Emile Cairess and Anna Møller. Jess Judd, of Loughborough University, led after the first shorter lap with Møller, Amelia Quirk and Mhairi MacLennan in close attendance for the start of the 6.2km course. 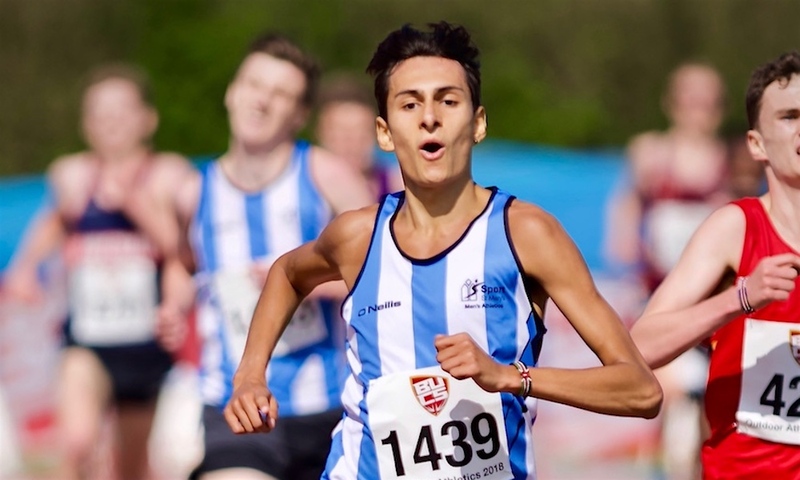 It was on the longer second lap that the St. Mary’s student Møller made the move to the front and came away a comfortable winner in 20:33, 11 seconds clear of Birmingham university’s Quirk in second (20:44). 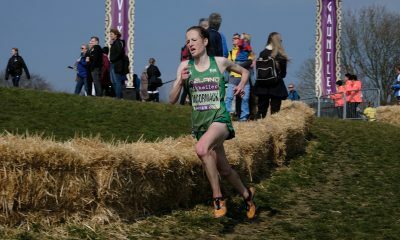 Northern Cross champion MacLennan (20:49) took third place, whilst early leader Judd had to settle for fourth. In the men’s race, a trio soon moved away from the rest, with Emile Cairess, Oliver Fox and Patrick Dever breaking clear. Running for St. Mary’s, Cambridge and Loughborough respectively, it wasn’t until the finishing stretch that Dever and Cairess broke free and had an almighty sprint to the finish. Cairess just pipped Dever to the line, but both athletes put in a fine performance on a clear and cold day in the south west, both with times of 31:13 and an average pace of 19.8kph for the cross country circuit. Fox was third in 31:19 for the 10.3km course with all three runners a solid 45 second clear of fourth place. The shorter men’s B race of 8.2km was won by Abdulquani Sharif of St. Mary’s in25:51 ahead of Oxford’s Noah Hurton (26:03) and Joshua Lay of Loughborough (26:08). 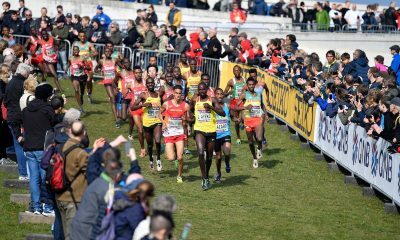 Although the shorter of the two, it had almost double the number of finishers of the men’s A race. The women’s race had an excellent 619 finishers ranging from Møller’s 20:33 to last place in 50:07. With four to score St. Mary’s were the clear winners in the men’s A race, led home by Cairess’ victory. Cambridge and Oxford took the chance to get on the podium and pipped Loughborough to second and third respectively. 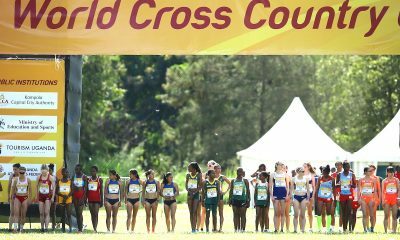 In the women’s race, the African Violet fared better and the trio of Jess Judd, Amy Griffiths and Abbie Donnelly were the three scorers and finished in fourth, fifth and sixth to secure the gold for the third consecutive year. A great team performance. Second place went to Birmingham with St. Mary’s in third. In the men’s B race the four scorers of Loughborough pipped St. Mary’s by just one point to win and take two of the three team prizes for the day. Cambridge continued their impressive second in the men’s A race with a third place in the B race as well. The strength in depth at the sporting universes showed in the B race with St. Mary’s teams in second, fourth, 10th, 16th and 32nd, whilst Loughborough had teams in first, seventh, 12th, 17th, 23rd, 28th, 33rd, 38th and 52nd. Cambridge also finished with two teams in the top 10.